Globally, many smart cities have been observed developing in different countries to offer high quality life and excellent working-living environment to their citizens. Being powerhouses of potential and skilled workers, smart cities contribute immensely to the overall development of the society and nation. As Smart home or smart building contributes at the core of effective smart city realization as an important and basic building block, for long term sustainable growth, it becomes quite imperative to monitor critical environmental parameters of building to make the life quite liveable. Such smart buildings monitored by Building Automation Systems (BAS), which have started demonstrating rapid growth potential on account of rising energy costs, stringent scarcity of fossil fuels for power stations and continuous abnormal-unpredictable climate changes, etc. Smart buildings with energy efficiency are need of the day and frequent terrorist attacks and rising security concerns worldwide, security and surveillance have been major focused areas today, where BAS are providing solutions. This chapter keeps its major emphasis not only on automatic monitoring of critical parameters, but also suggest technological approaches. Optimized utilization of energy usage, integration of renewables as well as with smart grid (energy backbone of smart city) shall also be covered in broad perspectives. 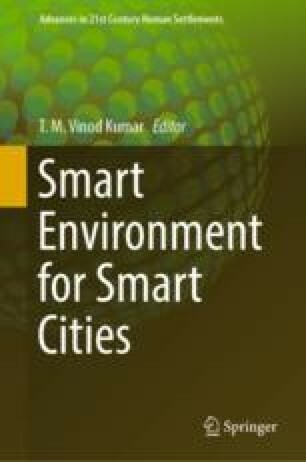 The chapter shall suggest useful guidelines and recommendations for smart building automation for smart cities with interesting discussions of example case studies and implemented proof of concepts. The authors take this opportunity to express their sincere thanks to Editor Prof. T. M. Vinod Kumar and his entire team, bulletin editors and Springer staff members for their valuable guidance, excellent co-operation and timely help extended. Co-operation received in development of this book chapter from the faculty members, management and office bearers of affiliating organization of the authors is acknowledged with thanks. Useful contributions and cooperation received from all the cited sources of references are also gratefully acknowledged.